These two islands are the largest in Mahone Bay. They are still inhabited and provide a glimpse into island life of the past and present. 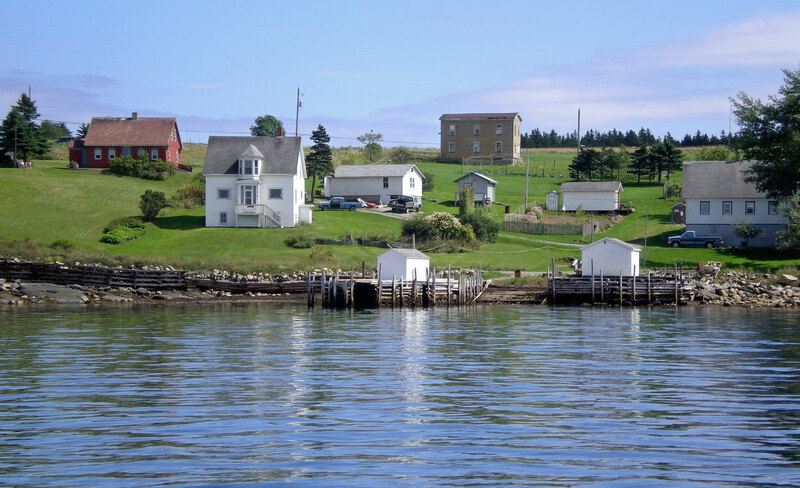 Distance: 12 km round trip from Blandford to the Government Wharf on Big Tancook. The busy government wharf on Big Tancook Island is a sure sign that this is still a vibrant community. Tourists who take the ferry from Chester can spend the day hiking past multi-coloured homes and well-cared-for gardens on the 8 km of road. The island is a mix of forest, overgrown fields, marshlands and a network of trails. The islands were settled by German and French settlers in 1829. Today the population is about 200 and fishing is the main industry. Islanders are famous for the Tancook schooner, a small schooner once used for fishing, and their cabbages and sauerkraut. Big Tancook also has the only one-room school house still open in Nova Scotia today. The islands are at the mouth of Mahone Bay and the name Tancook means “facing the open sea”. Much of the shoreline is rugged and cliffy though there are some sandy and rocky beaches for landing.